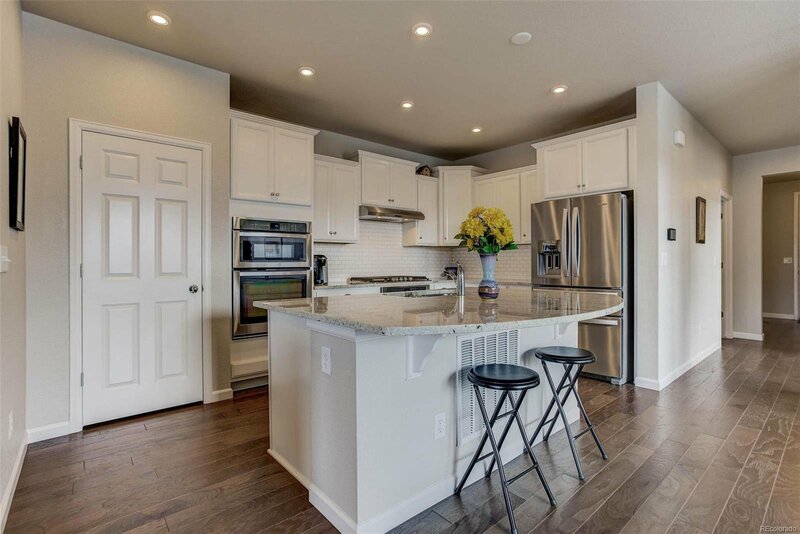 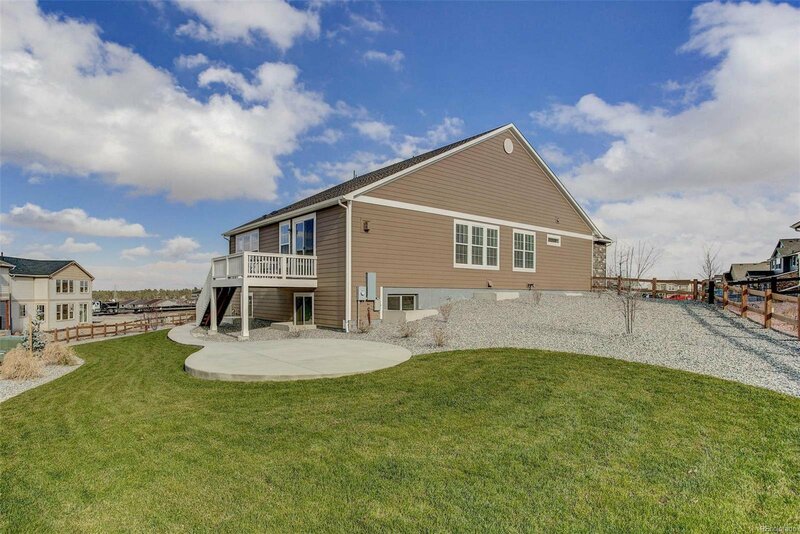 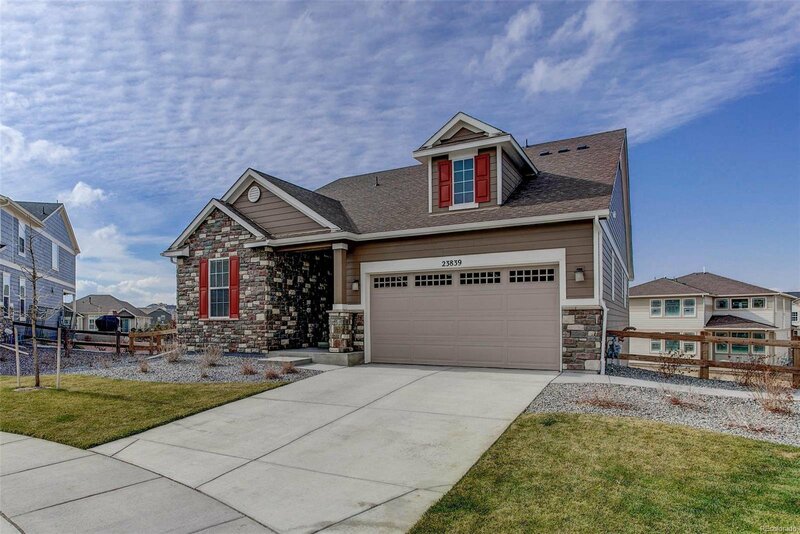 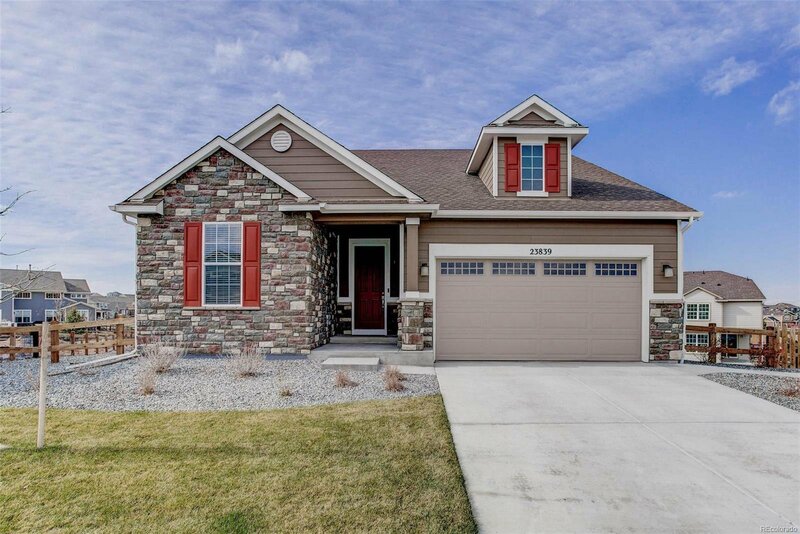 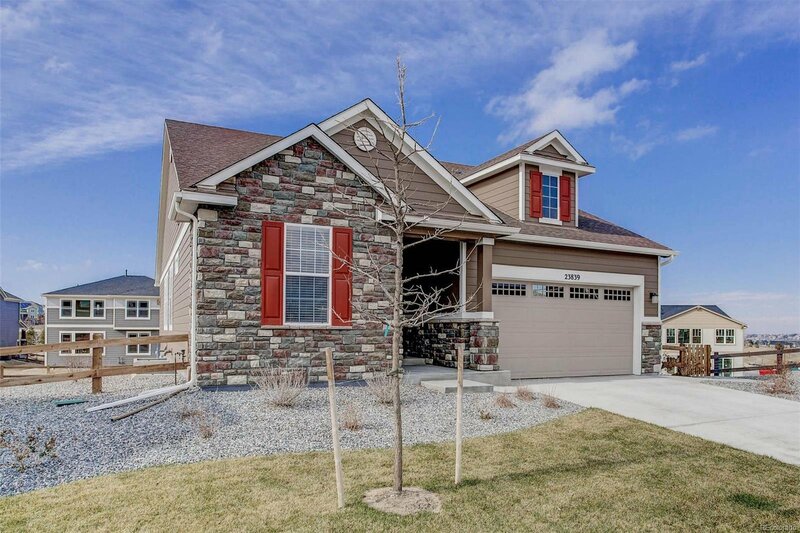 Better than new Meritage Timberline Ranch model! 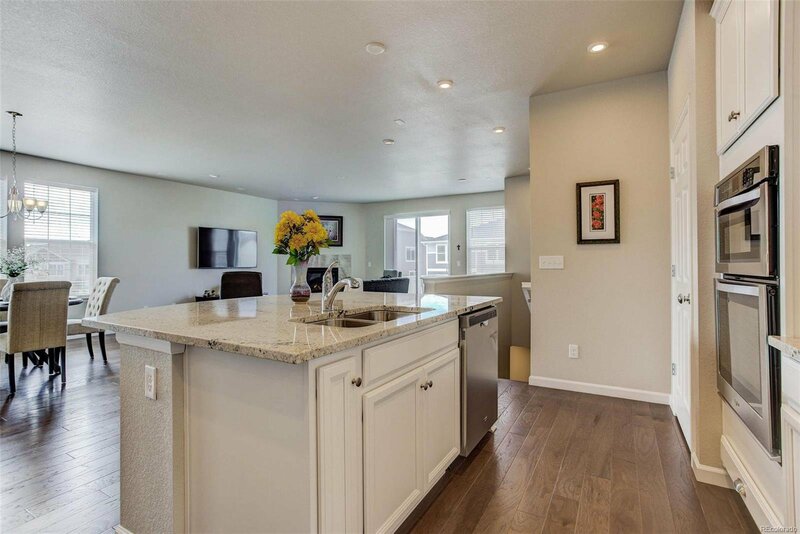 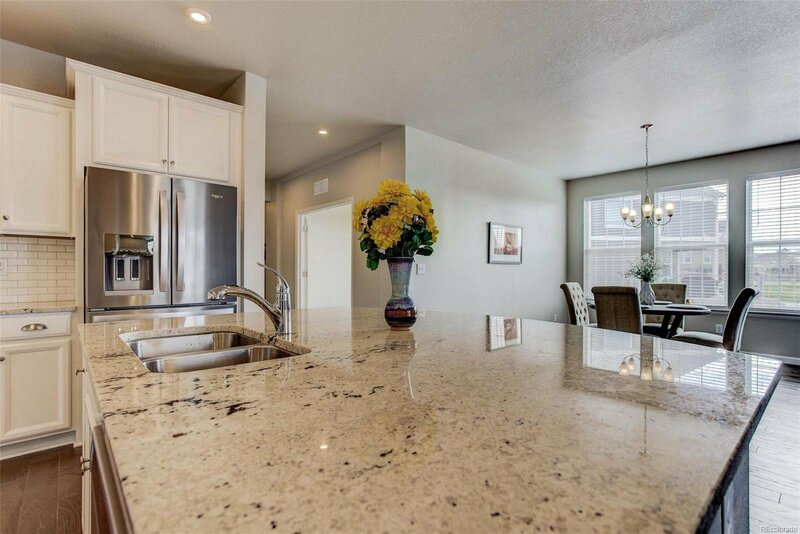 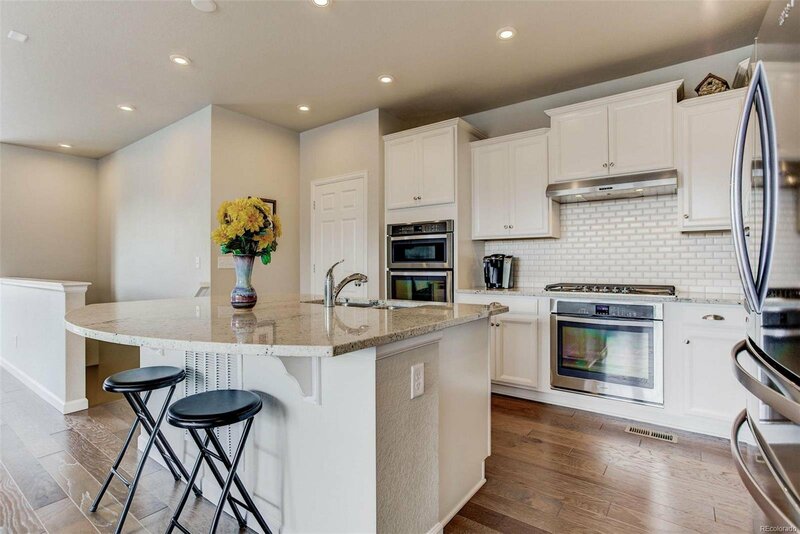 Awesome gourmet style kitchen has Granite island and countertops, Stainless steel built-in appliances including gas cooktop, and subway tile backsplash. 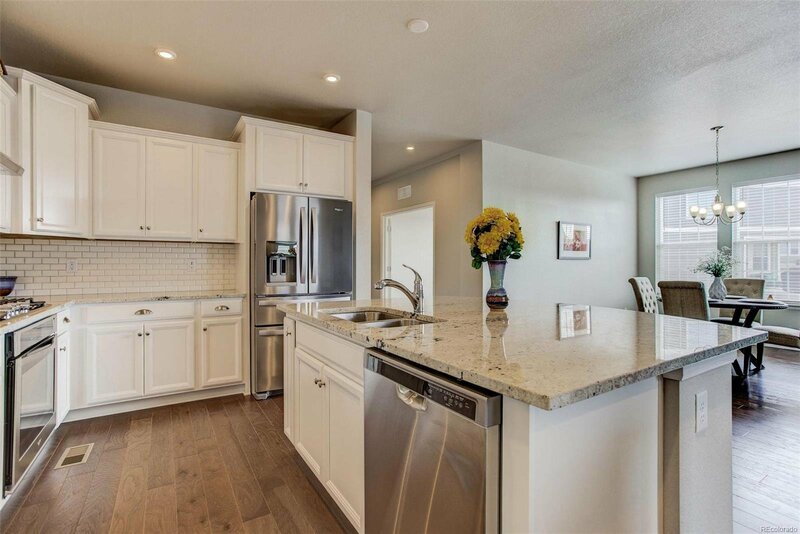 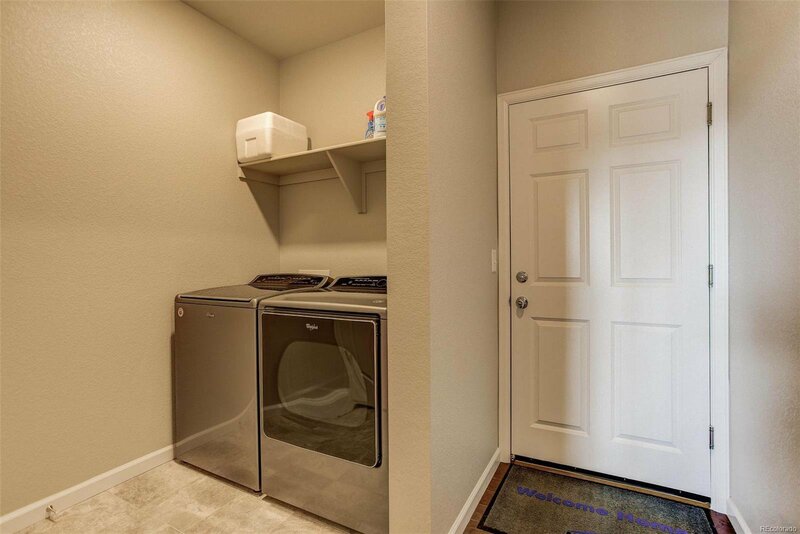 Kitchen has plenty of storage with beautiful Tahoe Linen cabinets and pantry. 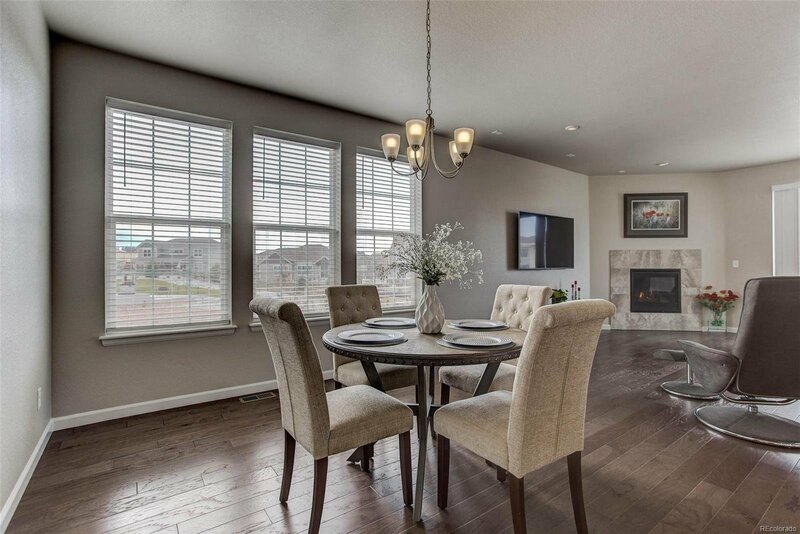 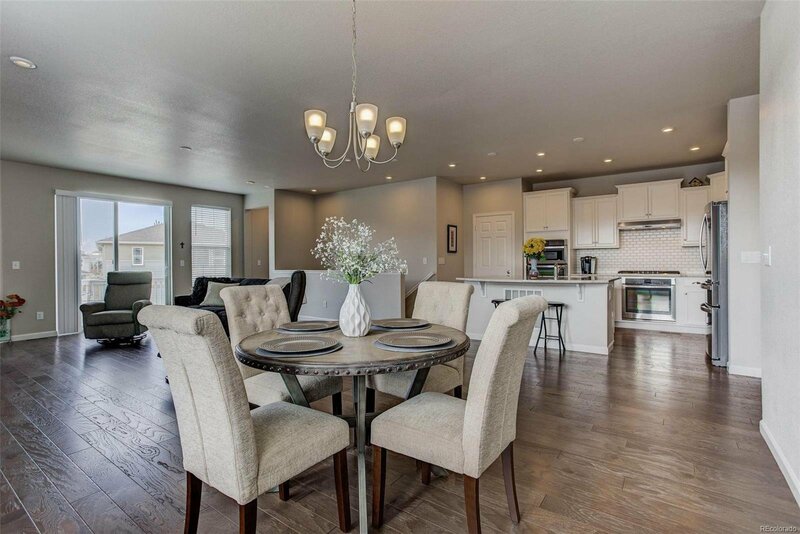 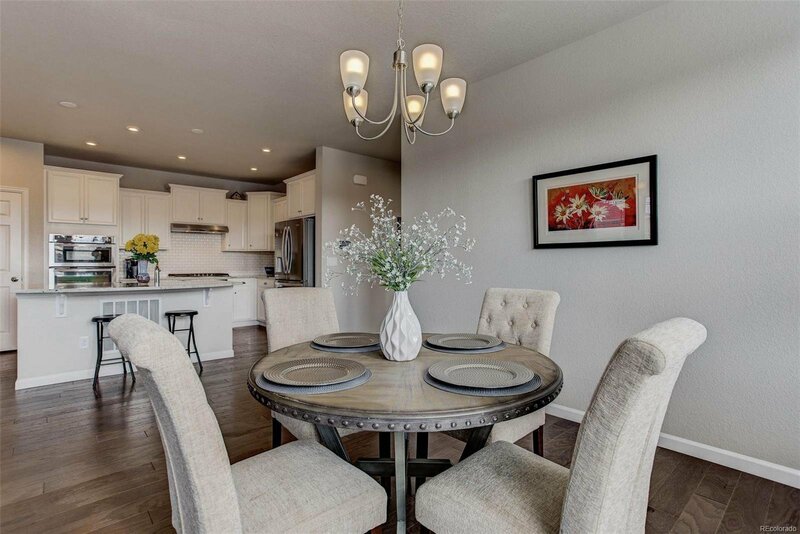 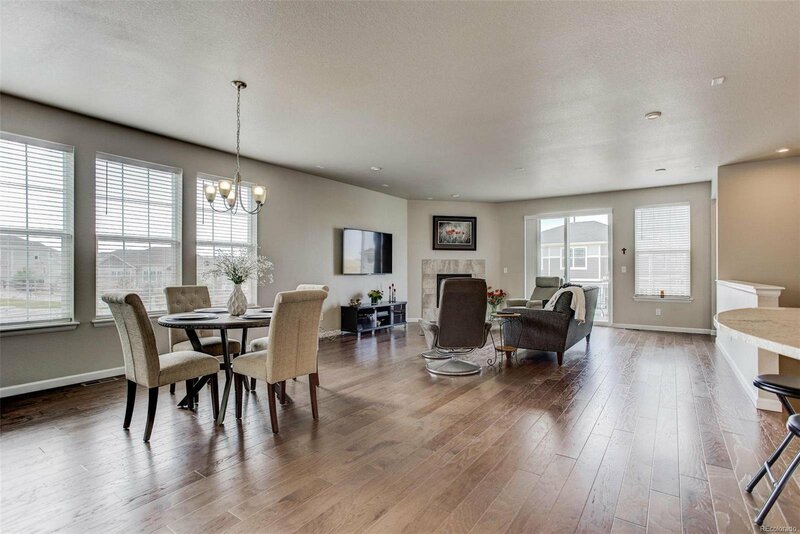 Dining room offers wood flooring, LED lighting and plenty of natural light. 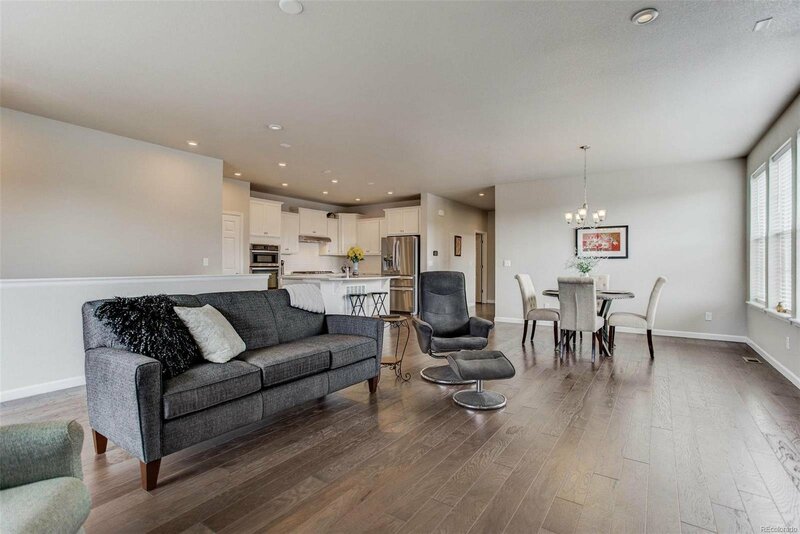 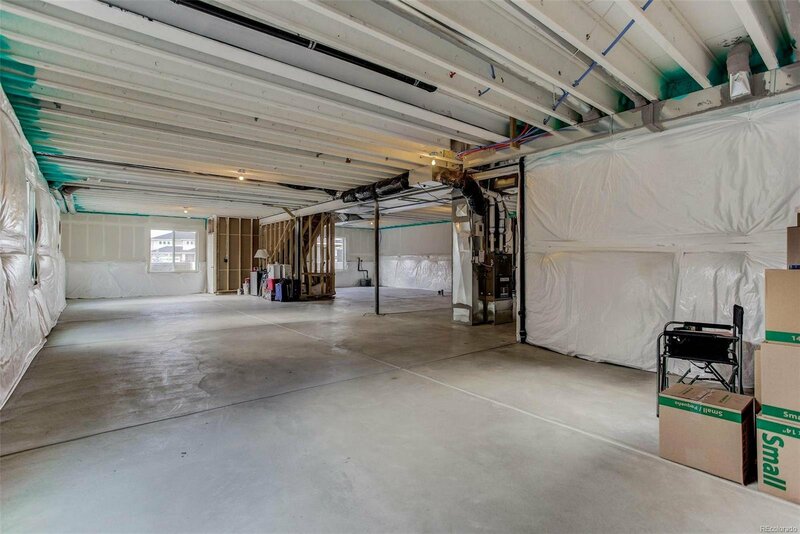 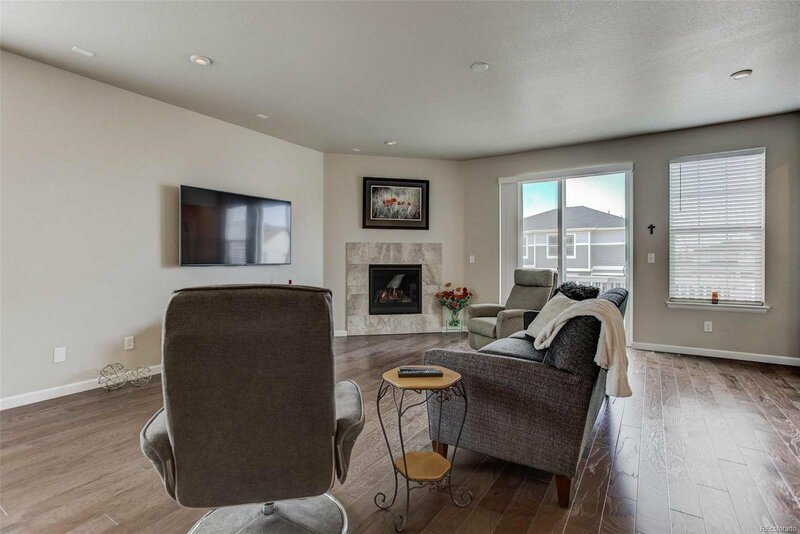 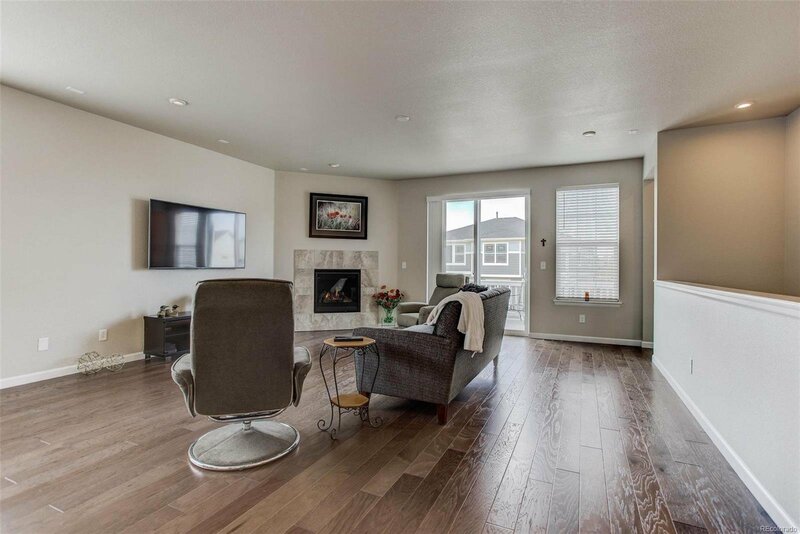 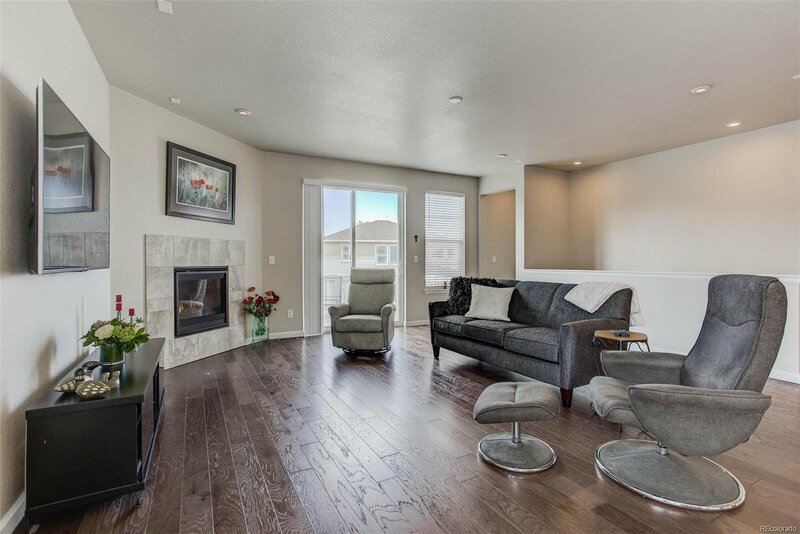 Oversized living room provides amenities like gas log fireplace, ceiling fan pre-wire, access to deck and more! 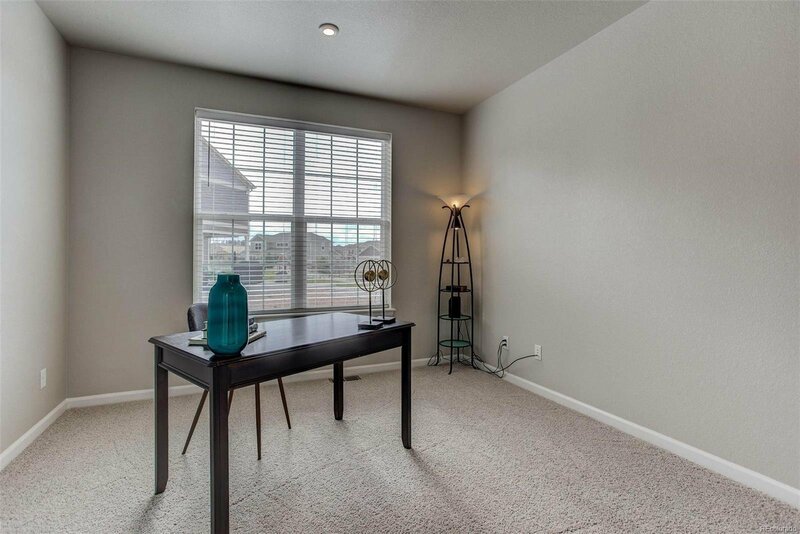 Study gives you a location for a home-based business with features like neutral carpet and paint, French doors and energy efficient lighting. 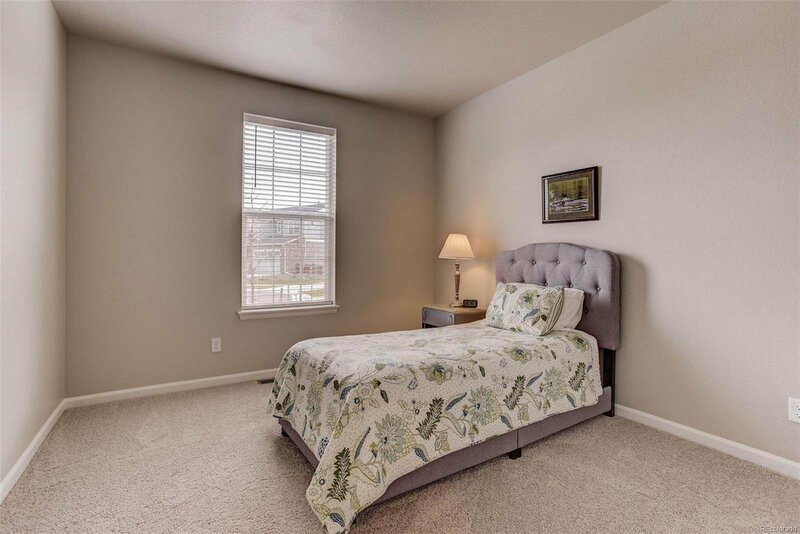 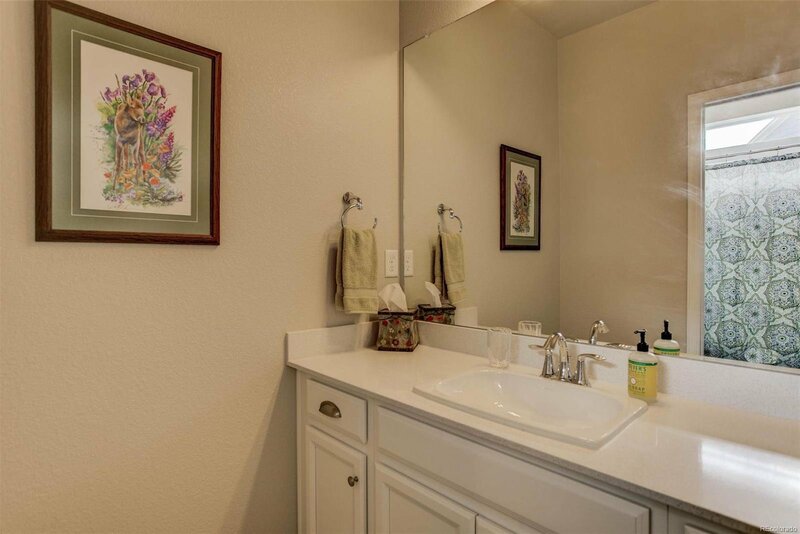 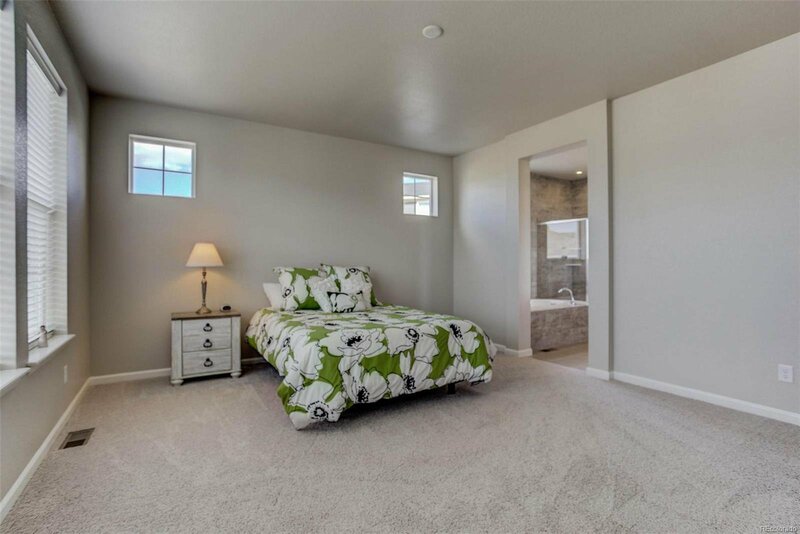 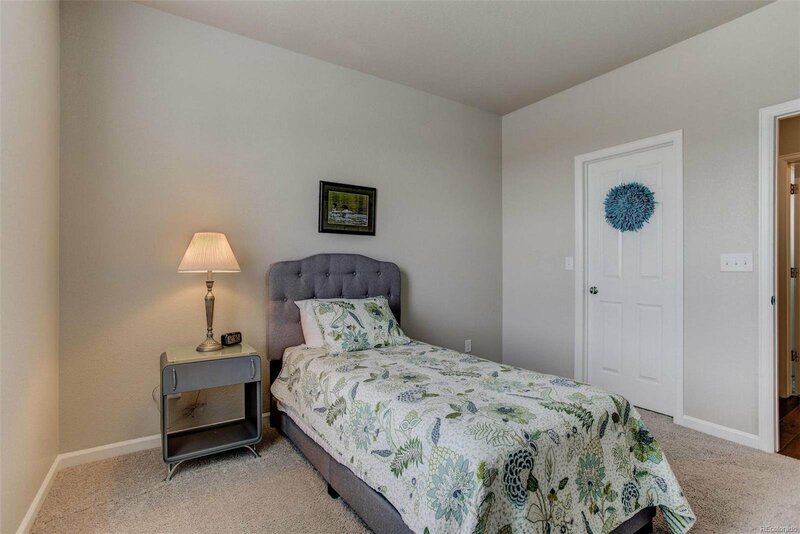 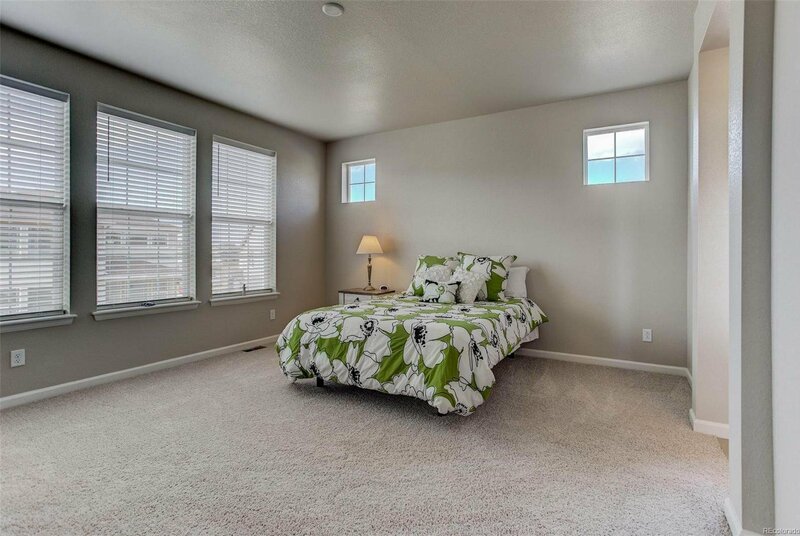 Master Bedroom is spacious and includes 5-piece bath and walk-in closet. 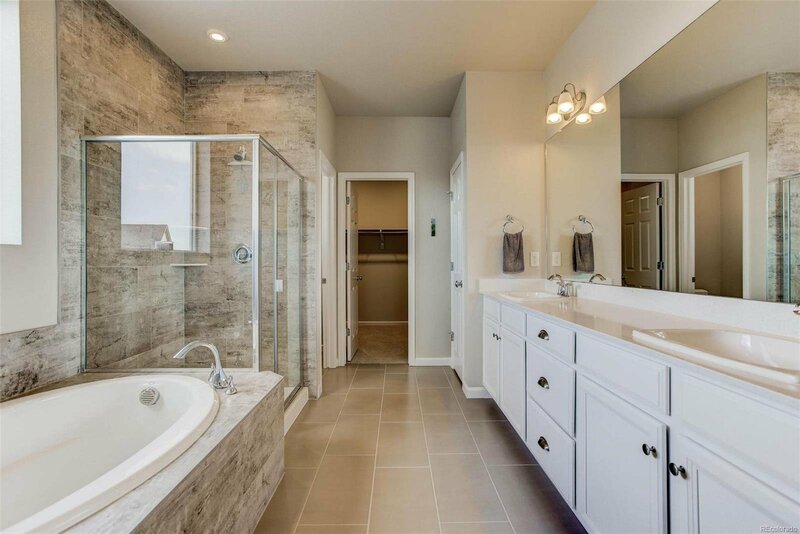 You'll love the spa like feel of the master bath with amenities like 12x24 ceramic tile, brushed nickel finishes and soaking tub. 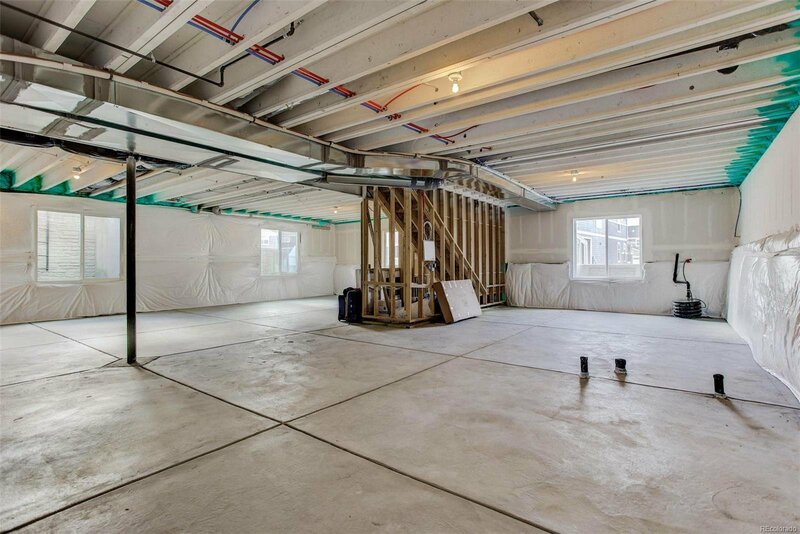 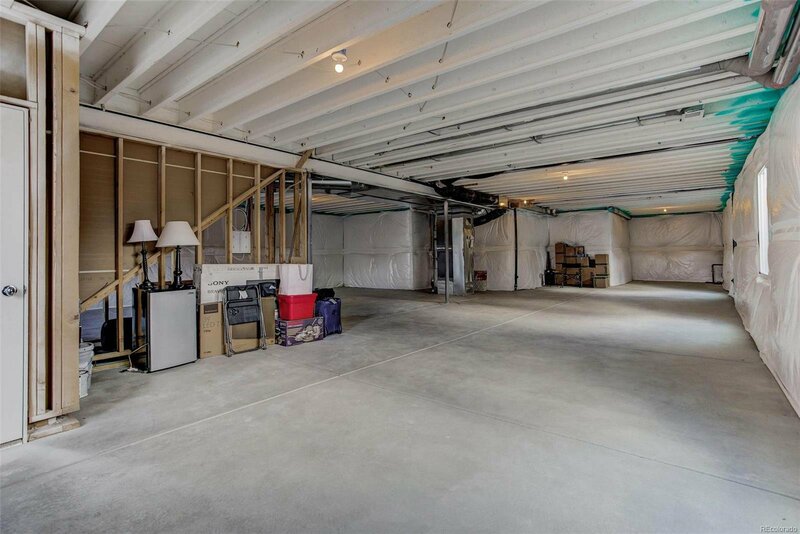 Full unfinished basement with rough-in for future bath! 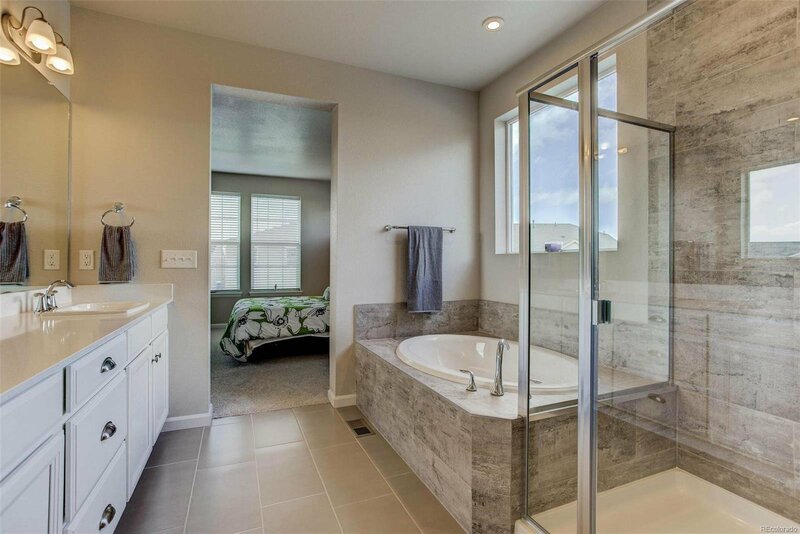 Tankless water heater means never running out of hot water. 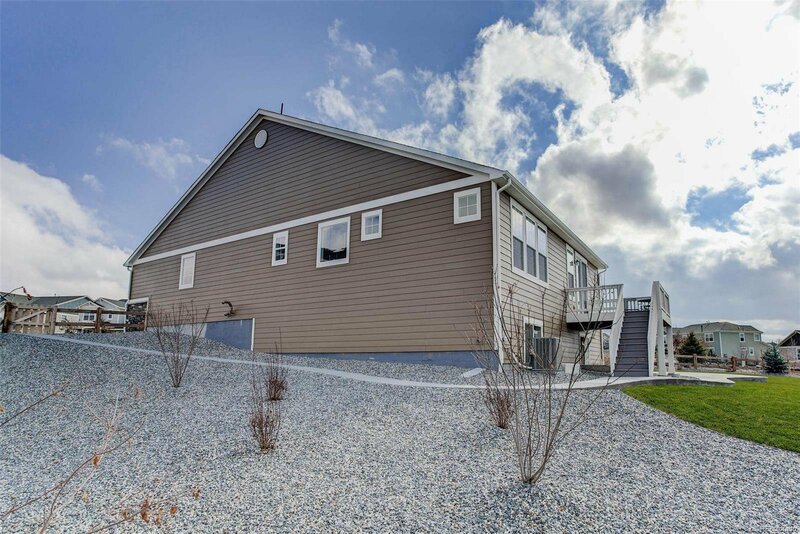 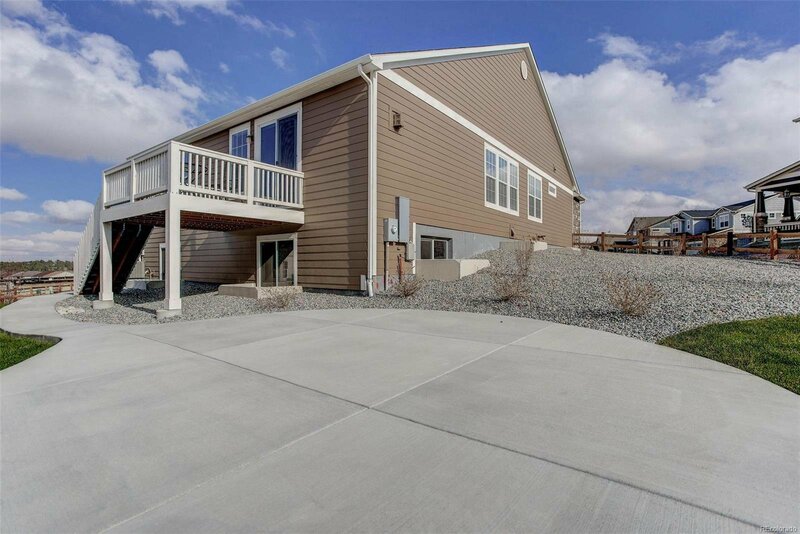 Over $25,000 in landscaping/ fencing make this a turn key home.